Via Christi's flagship hospital is just one of many facilities the system owns. The nations largest Roman Catholic health system will finish 2006 on the verge of getting even bigger. 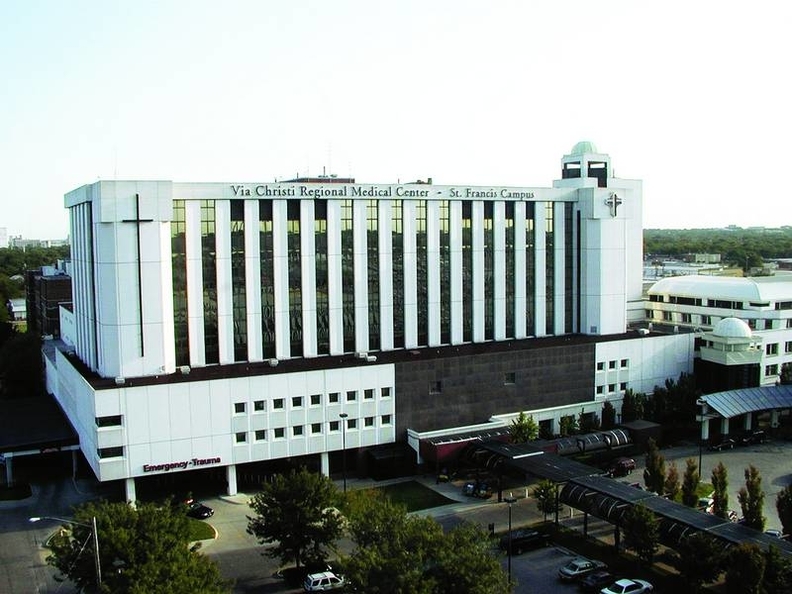 Ascension Health, a St. Louis-based not-for-profit with 67 acute-care hospitals, said it will become half-owner of Via Christi Health System, a four-hospital Catholic system in Wichita, Kan., in a complicated arrangement unveiled last week. The deal, which involves no cash and is expected to close in early 2007, will make Ascension and Marian Health System, Tulsa, Okla., joint owners of Via Christi. Ascension also is in talks to acquire by July 1, 2007, Eastern Health System in Birmingham, Ala., where Ascension already owns St. Vincents Hospital. Ascension is expected to consolidate 274-bed St. Vincents and Easterns three hospitals under a Mobile, Ala., subsidiary, according to Liz Moore, a St. Vincents spokeswoman. Terms of the Via Christi deal are unclear. No assets will be transferred under the deal, according to a statement released by Ascension. The exact nature of the affiliation will develop over time depending upon facts and circumstances to be determined, it said. In addition to four acute-care hospitalsincluding its two-campus 811-bed flagship Via Christi Regional Medical CenterVia Christi owns insurer Preferred Health Systems, a rehabilitation hospital, a behavioral health hospital and a dozen long-term-care and assisted-living facilities. Via Christi reported 2005 operating income of $55.7 million on operating revenue of $1.2 billion. Ascension executives began meeting with Marian Health System leadership in June, said Marians president and chief executive officer, Sister Therese Gottschalk. The partners are drafting an integration agreement and have begun talks on Via Christis governance, which may include restructuring and downsizing its 16-member board, said Gottschalk, who is a member of the Sisters of the Sorrowful Mother. Marian will retain 50% ownership of Via Christi. The graying and shrinking of religious orders in the deal prompted the Via Christi transaction. Two religious orders that sponsor Ascension and Via Christithe Sisters of St. Joseph of Nazareth and Sisters of St. Joseph of Wichita, respectivelyare among seven Sisters of St. Joseph congregations expected to merge in early 2007. Its a proactive step, said Sister Helene Lentz, president of the Sisters of St. Joseph of Wichita, who said the congregations chose to unite after one small order, struggling to survive, approached others for help. The demographics are the same for all of us, she said. The sisters merger will consolidate the orders healthcare assets. Kevin Conlin, Via Christis president and CEO, said in a Wichita Eagle commentary that the Kansas system will benefit from Ascensions tremendous scale and expertise. Ascension reported 2006 operating income of $497.8 million on operating revenue of $11.4 billion.